This computer could find solutions 2,600 times faster than any known algorithm. Quantum computers are, without a doubt, the future, of computing. And while there are dozens of studies trying to make quantum computers more practically usable for the average person, we have yet to create a quantum computer that works in the same way our current computers do. This inability is laregly due to the difficulties in sustaining qubits (or quantum bits, a unit of quantum information), the most important part of quantum computing. There are a few companies, however, that have shown that it is, at least, possible to create a working quantum computer. One such company is D-Wave, and this year they released the latest version of their quantum computer. It’s called the 2000Q System, with, you guessed it, 2000 qubits in its processor. This number surpasses its 1,000-qubit predecessor. It’s the Canadian company’s most capable machine yet. Some criticize D-Wave’s machine, saying it isn’t really a quantum computer, mostly because their qubits aren’t built in the same way that would be for traditional quantum computers. As such, these qubits are more fragile and offer less precision in manipulation. Moreover, D-Wave’s quantum computers can only solve one type of computing task known as optimization problems through a process called quantum annealing — basically, it’s how magnetic fields that represent the problem nudge qubits in superposition towards a new state that provides the best configuration to solve a given problem. 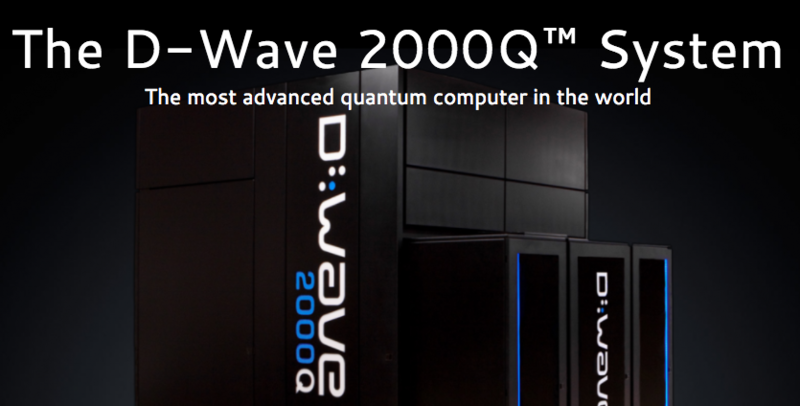 The 2000Q is the fourth-iteration of D-Wave’s quantum computer and was created using the input of researchers who have been using D-Wave’s previous models. “We’re providing guidance as a community of scientists,” explained physicist Davide Venturelli from the NASA Ames Research Center. NASA shares a D-Wave quantum computer with Google, and other D-Wave clients include Lockheed Martin and the Los Alamos National Libray. This model has yet to reach perfection, in terms of what a quantum computer could do. This is why the inputs of researchers who use D-Wave’s systems are key in making improvements. “Quantum computing is a new tool,” said D-Wave user Mark Novotny, a physicist at Charles University in Prague. “So, part of what we’re doing is just trying to figure out how we can use it.” Novotny is part of a team that’s exploring possible uses for D-Wave quantum computers in cybersecurity. The 2000Q, aside from having more qubits, offers a user better control of qubits that go through the annealing process. Researchers like Novotny know this is a good thing, but they want more. Specifically, they want greater connectivity; something D-Wave is promising for its fifth generation quantum computer that they say will have double the qubits of the 2000Q. Improved connectivity means that qubits in a processor could ‘talk’ to more qubits. With current models, each qubit in a processor could only ‘talk’ to six others, said Scott Pakin from the Los Alamos National Library. “The richer the connections, the easier and faster it is to get problems onto the D-Wave,” he said. For Novotny, improved connectivity would make D-Wave capable of exploring different machine-learning algorithms that could learn to better recognize cyberattacks. When the 2000Q is upgraded to the fifth iteration of D-Wave’s quantum computers, connectivity, hardware, and a massively enlarged qubit limit will be among the improvements inspired by the loyal D-Wave users. But even with this fourth design, the improvements made will continue researchers’ capacity to grow and explore. Each new development, however controversial, made in D-Wave computers will continue to allow scientists to expand their research in such pressing fields as space exploration, medicine, cybersecurity, climate change, etc. D-Wave’s continued partnership with their clients will allow this progress to continue.